I have been a really crappy sleeper my whole life, just ask my mom. I started taking Benadryl at 13 just to be able to sleep. My issues are anxiety and an overactive brain when I finally slow down to rest my little head. The challenge is my brain does not get the "time to go to sleep" memo. As a women who is entering menopause, sleep becomes even more of an issue. I have tried a ton of things and even met with one of the top sleep specialists in the country, Dr. Richard Simon. He told me that having a baby ruined my sleeping habits. Well sort of late to change that! Before I go into my sleep routine, I must mention that you should not have any screen time for at least one hour before bed. So, get the TV out of your room and get off your phone! My phone is in Airplane mode every night and in my bathroom. You will be shocked at how much better you sleep with this plan. Sleep is vital to my ability to function and be productive the following day, so I have curated a little bedtime ritual to make my rest the very best it can be. First I got myself two of these luxurious pillows. I cannot sleep without them. I roll it in my suitcase when I travel. I found them when I stayed at the Historic Davenport Hotel in Spokane, Wa. I use one under my head and one in between my legs. It is like a security blanket for me. I even took it to the hospital when I had my surgeries! I of course sprayed it with OnGuard, Melaleuca and Frankincense to ward off MARSA. ICK! 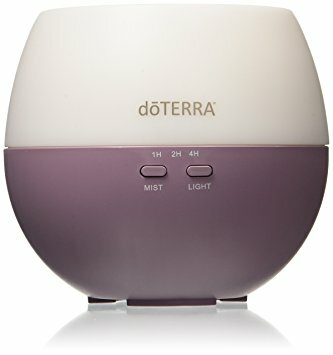 The next step to my sleeping routine is to set up my diffuser for the night. There are so many diffusers on the market to choose from. Make sure you get one that will run for 8 hours. My base essential oil for the night is always Vetiver. It is so grounding for me and I just love the smell. There are a ton of "sleep recipes" on Pinterest, pick one that suits you or change it up depending on the time of year and your health needs. I use Vetiver as my base every night in my diffuser. I add other oils to compliment the scent or to assist me with my current mood or health issues. Right now I am adding Cedarwood, Breath, and Basil to help with my allergies. I know I have talked about meditation before but it is important enough to mention again. I find for me, meditation puts me in a better mindset to slow down my brain and get ready to sleep. I use guided meditations from an app called Headspace and I also use the free guided meditation from Deepak Chopra and the Chopra Center. In my quest for better sleep, white noise was one of the things they suggested to add to your bedroom. I need something to take my mind off of it's rambling thoughts and white noise is perfect. There are apps that you can download but I have taken to turning my phone on Airplane Mode each night and putting it in my bathroom so this method doesn't work for me. I use this machine from Dohm. It is the official sound conditioner from the National Sleep Foundation. I told you sleep was important to me! My newest habit for sleep is a Deep Sleep Pillow Spray - Along with my essential oils in my diffuser, I made my own version of this spray in a glass bottle with distilled water, Lavender, Patchouli, Cedar Wood, Vetiver, and Roman Camomile doTERRA essential oils. I hope that you might find a few of these ideas helpful for curating a perfect night of sleep. When we rest our bodies and minds, we can be the very best version of ourselves. So much more to say about getting good sleep but all this sleep talk is making me tired! Nighty Night!